The sun shone on the Chesfield Ladies' Spring Meeting. The golf fun was followed by a meal and prize giving. All cups and trophies won so far this year were presented. 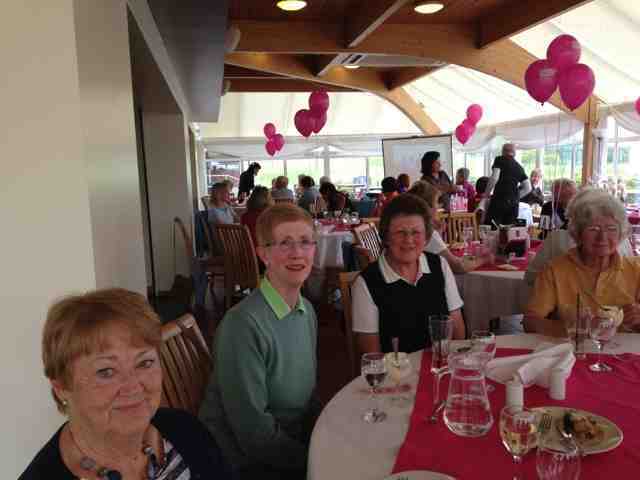 The ladies also held a raffle that raised £231 for CLIC Sargent. Bev Hattersley, Sarah Faircliff, Jackie Reid and Yvonne Woods were the winning team of four and each of them was presented with a bottle of champagne. Well done! Thank you to all the Ladies for your support.